In continuing the research for my western series, I spent Monday of this week with Shawn Classen on his ranch near Chester, Oklahoma. 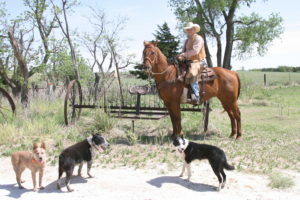 I was greeted, as I opened my car door, by the Classen clan of heeler mix working ranch dogs giving a great start to a wonderful adventure of western flavored photos. Shawn’s son, Tyler joined us for the photo shoot as well as an array of horses, chickens, roosters, ducks, and long horn cattle. Also found were Hereford and Sharlee cows, bulls and even a bull snake hissed in for a photo. Skulls, old farming equipment, saddles old and new, a bunk house and a church house were part of the day. I enjoyed great conversation with Shawn discovering the history of his farming and ranching family as we bumped along through the various pastures of his places. Probably the most poignant moment was getting a few photos of “779”. 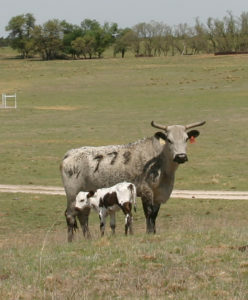 “779” spent part of her life on the rodeo circuit. Though Shawn assured me she would not have been harmed in this prior life, I felt a sense of sorrow for her. She now has a grand life free in the pasture and is a new mother. With her darling brown and white spotted calf, so fresh with life and near her side, 779 was on alert w hen the humans arrived. Great day of learning and great photos for artwork reference.